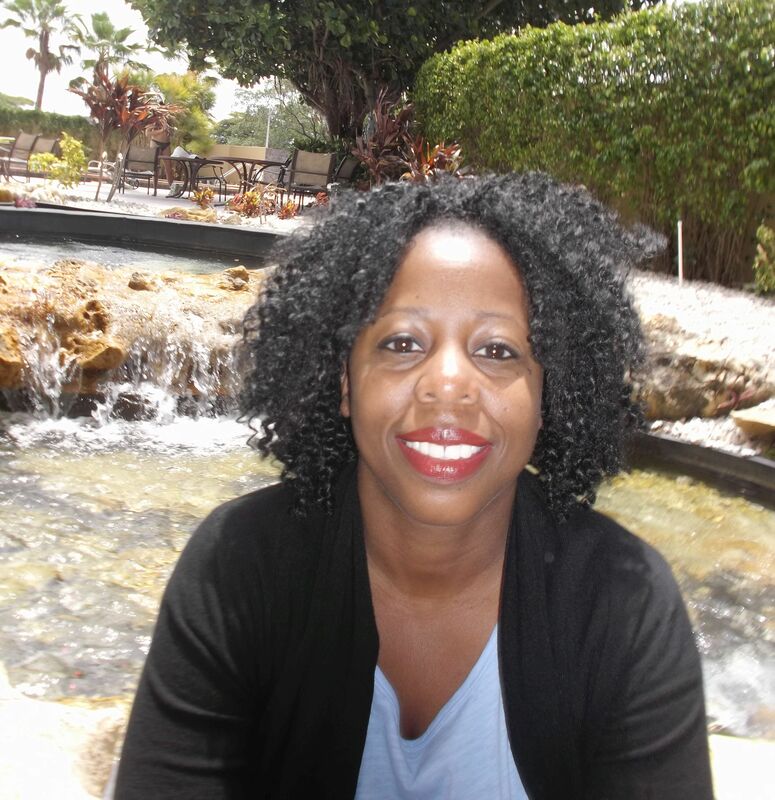 For penning a tale that will no doubt be a comfort and a beacon for children experiencing their own situations of heartache and sorrow, we celebrate LaTisha Redding on Day 6 of 28 Days Later. I’ve always loved reading. It is clichéd, but reading really does opens doors to other worlds, other possibilities. The tagline of my website is, ‘Imagination is Just the Beginning’ and it’s true. What I observe, hear, experience and read in my daily life inspires me. I gather ideas from everywhere. I had been writing for several years before I wrote Calling the Water Drum. This story came to me after a trip to New York City, which is where I grew up. New York remains familiar to me and I slip back into the city’s rhythms with ease. Of course much of that rhythm stems from crisscrossing the city on the subway. I had just gotten off the train and wasn’t thinking about writing at that particular moment. When I climbed the subway stairs and arrived at street level, the sight of a man and little boy playing music captivated me. These impromptu ‘subway concerts’ are not unusual in New York—but this ordinary moment—and memories from my childhood synched in an unexpected way. After I returned home to Florida, the story tumbled around in my mind for several weeks before I sat down to write it. I realized that this was the story of a young boy named Henri, dealing with permanent changes in his life. Henri is dealing with loss and over the course of the story, we discover how he expresses that sense of loss relative to those changes. 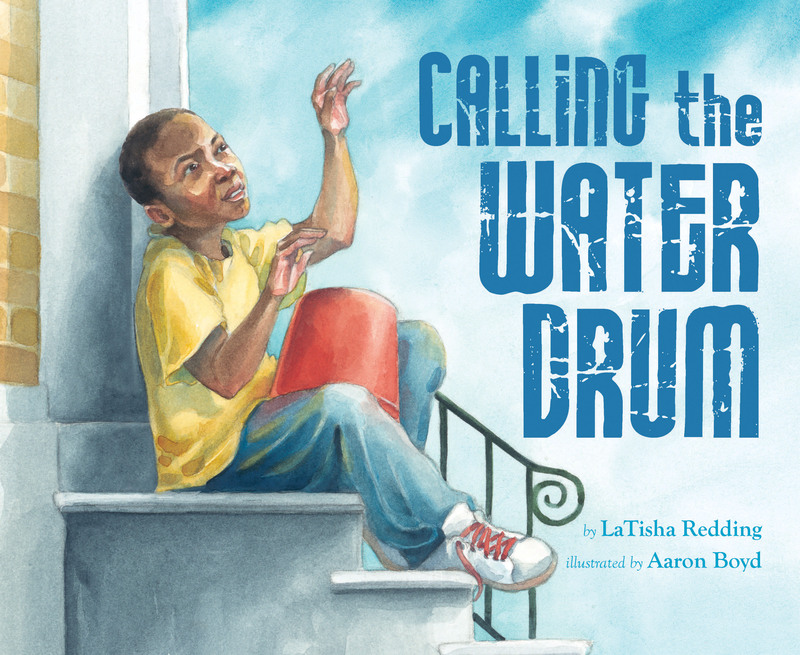 Calling the Water Drum is the first story I’ve ever had published. The sweetest part is that my first published story is a bona fide book! After I wrote the first draft, I had no clue what to do with the story, so I mentally filed it away. Several months later I saw Lee & Low’s New Voices Award contest, which is a contest for children’s picture book writers of color. When I remembered my story, the opportunity to enter the contest just sang to me. The deadline was fast approaching and I had a couple of weeks to revise the story, which I did. Now, I didn’t win the contest, however, one of the editors at Lee & Low contacted me. It was wonderful because she saw the spark in the story and we worked to shape it further. Because there’s a musicality to Henri’s story, I was sensitive to the language I used to describe his experience. The editor and I were careful to preserve that musicality during the revision process. Afterwards, Lee & Low wanted to publish Calling the Water Drum, which of course, I accepted! It was published in December 2016 and I’m amazed to see my name on the cover. I knew this picture book was coming–but to hold it, read it, and look at those breathtaking illustrations? It’s incredible. This entire experience has been a gift. “A powerful story of loss and survival, human connection and hope. I am new to children’s publishing, so my understanding of the industry is limited. However, I’m a frequent patron of libraries and bookstores, and naturally I’ve observed what’s on the shelves: vampires, wizards, zombies, coming-of-age stories, dystopian worlds and fresh spins on mythology. I am a reader first and foremost and these are stories that I devour. I’ve also observed what’s lacking on the bookstore shelves and that’s an old story. The libraries I’ve visited don’t appear as stringent; they tend to group by category. This is not the case in bookstores. African-American writers are lumped onto one shelf no matter what genre the book. This is the entry point into the marketplace. If the books were classified by genre, it would increase our exposure to readers. We’re writing in a number of genres: children’s, contemporary, science fiction, fantasy, mystery, YA…and anything and everything in between. For decades I’m sure it was easier for bookstores to shelve African-American writers into one space. However, with the internet, many barriers to publishing have fallen. Shouldn’t this barrier be one of them? Congratulations!! Not winning the contest but winning the attention of someone who saw something great in your story is a wonderful thing. Here’s to seeing more! Congratulations on your much deserved success! I agree with your comment that books by African-American writers shouldn’t be separated from other “mainstream” books in bookstores. And it’s way past time, too, for libraries to stop slapping an “African-American” label on the spine of books that feature black main characters, as if those books would only appeal to black readers.